Ahead of his tour alongside a certain '70s icon, the artist celebrates Marvel's 80th anniversary with a few formative stories! Years before Patrick Zircher established himself on NEW WARRIORS and IRON MAN during the latter half of the 1990s, the artist became acquainted with a more eccentric era of fiction, cutting his teeth on the out-there adventures of the 1970s. “The 1970s was a very fertile time in genre fiction,” he notes. “There was a new wave of science fiction and fantasy novels, and a rediscovery and appreciation of the fantasies of previous generations, from Lovecraft to Edgar Rice Burroughs to Michael Moorcock's Elric saga. This influenced and was reflected in Marvel's writers and artists, especially in the more unusual titles." But ahead of his upcoming projects, we caught up with the artist to get his view on the Marvel era that shaped him most. Marvel.com: What was your first exposure to Marvel Comics? Patrick Zircher: I was so young, they've always been a part of my life. My grandmother had new comics waiting when I'd visit her so I was reading Spider-Man and the Fantastic Four before I entered school. Mom picked up on, and shared, my interest in comics very quickly and I was happily hooked. I even remember dad rough-housing with my brothers and I, bellowing out the Thing's battle cry, "It's clobberin' time!" Marvel.com: What set the books of the 1970s apart for you? Zircher: It was a time of incredible expansion of the Marvel Universe; Wolverine, Storm, Luke Cage, the Punisher, Star-Lord, Rocket Raccoon, Valkyrie, so many others, debuted throughout the decade and the stories in the flagship titles—AVENGERS, FANTASTIC FOUR, CAPTAIN AMERICA, THOR—grew deeper and richer. There was [also] a lot of genre-bending experimentation, work that was on the fringe of what we think of as Super Heroes. We had horror characters like Ghost Rider and Morbius, science fiction with Killraven and Deathlok, martial arts heroes such as Shang-Chi and Iron Fist, and the heroic fantasy of Conan, Kull, and John Carter of Mars. Marvel.com: Of all the Marvel comics that came about in that decade, which one would you place above all others as your favorite? 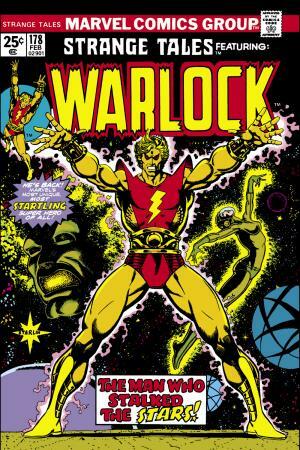 Zircher: It is difficult to narrow down but I loved, still love, Jim Starlin's WARLOCK stories. Jim fashioned Warlock into a rock star like David Bowie's Ziggy Stardust, a spacefaring Doctor Strange, and a doomed fantasy hero, an Elric of Melnibone. Warlock was unusual. He was sensitive, reluctant, his strange adventures were as much of the mind as they were of the body. Jim was a fearless writer and artist. Marvel.com: Do you have a particular favorite issue or story from Starlin's Warlock? Zircher: Warlock's elaborate adventures make placing a specific issue above another difficult but STRANGE TALES #178 is where [the] re-imagining of the character begins. (Read CONAN THE BARBARIAN, SAVAGE SWORD OF CONAN, and AGE OF CONAN: BÊLIT at your local comic shop now!) Visit Marvel.com's 80th anniversary hub page for more righteous retrospectives like this!